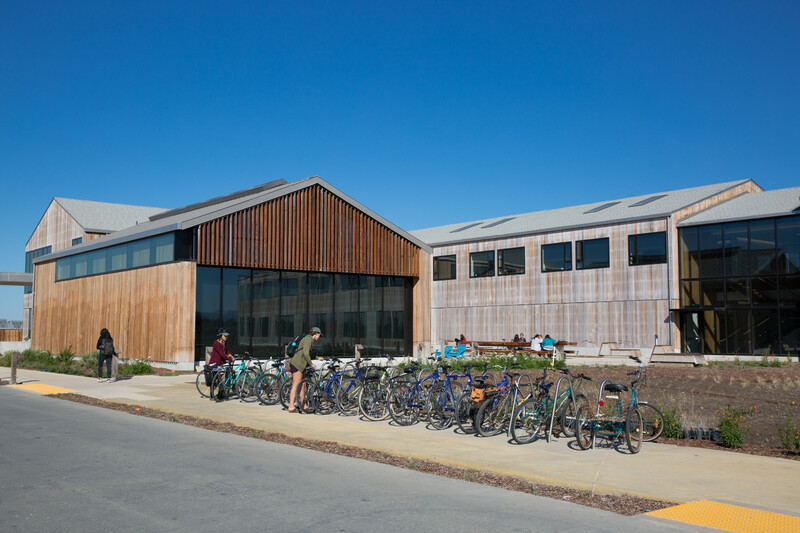 Students park bicycles outside the new Coastal Biology building, completed this fall. 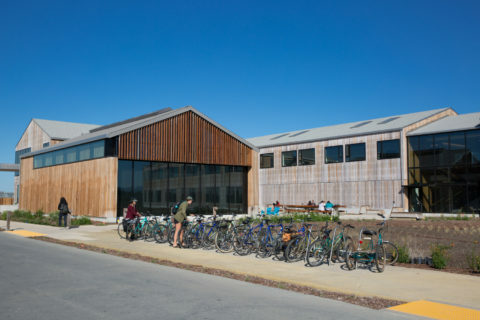 The state-of-the-art 40,000-square foot facility supports research and teaching on coastal conservation, ecology, habitat restoration, climate change impacts, and policy. The building includes a 125-seat classroom and two smaller classrooms; running seawater plumbed to a core seawater laboratory for teaching classes and holding live marine life; analytical labs and rooms for specialized equipment; meeting spaces and conference rooms; and offices and research laboratories.